Saline breast implants are silicone shells filled with sterile salt water. They were popularized in the US between 1992 and 2006 when they were the best and indeed only option out there for patients choosing to undergo a breast augmentation procedure. This is partly because the FDA temporarily banned silicone implants due to unsubstantiated rumors about their safety. One of the benefits of saline implants is that they have been around for 30-40 years and have a long history of safety. They do, however, tend to feel less natural than their silicone counterparts, are more prone to rippling, and may leak. Although saline implants are not as commonly performed as cohesive silicone implants, very large saline implants can easily be inserted through a telescopic incision. The most common and reliable breast implants nowadays are made of cohesive silicone gel (also known as gummy bear implants). Unlike silicone gel from the early 1990s, the advanced cohesive silicone gel implants of today are silicone shells filled with firm silicone gel. They are known for producing a very natural and desirable look and feel. The advent of the modern cohesive gel implant over the past decade has greatly increased patient satisfaction, as they are far less prone to leak, ripple, wrinkle, or deflate than their saline counterparts. Well over 95% of today’s patients choose the cohesive gel implant over the salt-water saline option. Silicone gel implants are usually placed through and under the breast, via an infra-mammary fold incision. Before undergoing a breast augmentation or selecting the type, shape, and size of your implants, expect to undergo a thorough consultation with Dr. Egozi. At this time, you will receive recommendations based on his years of experience as well as your unique needs and goals. Every patient is different. Based on your preferences, Dr. Egozi will ensure you fully understand the procedure, including incision locations, implant placement, and recovery protocols. In certain cases, it may be recommended that a breast lift be performed at the same time as your augmentation, as this may help enhance your bust line and provide a more attractive outcome. Dr. Egozi was one of the only plastic surgeons to use silicone breast implants in the Tampa Bay area before 2006, so rest assured, you’re in very capable and experienced hands! 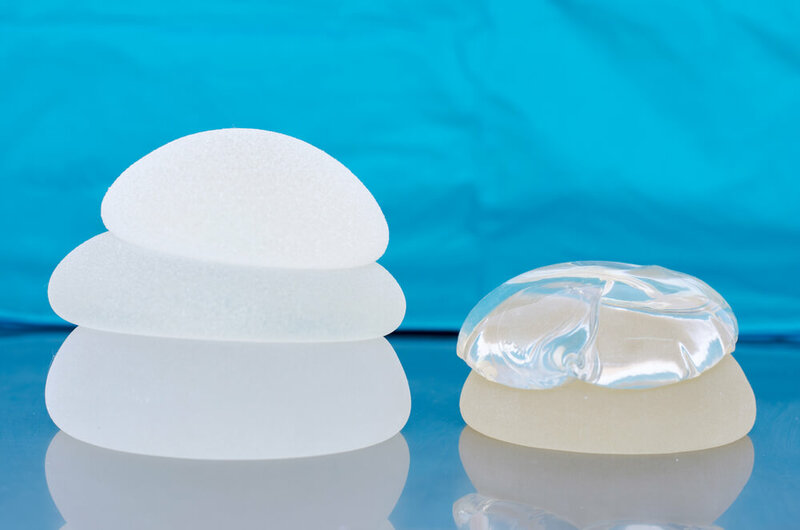 To learn more about breast implant options in Clearwater, Florida and find out which ones are right for you, Contact Egozi Plastic Surgery Center today to schedule a consultation!